long and rich furniture- j (215) 440-0718. Q: Gardeners speak of a "green thumb/' What's the equivalent in woodworking? The car shown at right may look like a classic, but with a top speed of 120 mph, it can handle life in the fast lane. Custom car maker Peter Portugal, of Eureka, CA, designed the car, which he calls the Dolphin. Portugal made the prototype shown here from a Datsun 280 ZX and a 250-year-old rcdwcxnl chat fell in a windstorm. He cut the redwood into -VliV-in. by 2-in. strips that he tapered with custom-made hand planes and glued together over a laminated white oak frame. The body is sealed with epoxy, reinforced with fiberglass cloth and top-coated widi clear urethane. Portugal hand-laid the fiberglass fenders and trimmed the car with bronze, assorted hardwoods, leather. /J It's not "all thumbs." Can't be "one thumb." I vote for "two thumbs." Jim Cummins is a contributing editor to AW. vinyl, brass and chrome. The dashboard is walnut burl, and the wooden steering wheel came out of an Austin-Healey. Portugal based the car's bow-back, Windsor style wicker and leather scats on scats in early racing airplanes. Portugal builds three Dolphins a year; each one is tailored to the buyer's specifications. For more information on the Dolphin, send S5 to: Peter Portugal Design Co., 474 Redmond Rd., Eureka, CA 95503. Making a splash. Peter Portugal's Dolphin combines the handling of a Datsun 280 ZX with the craftsmanship of an art deco masterpiece. 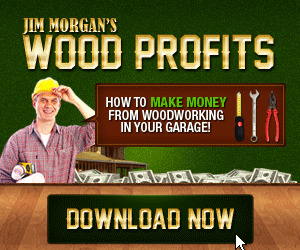 Whether you're just starting ouc in woodworking or eyeing a project too big for a small shop, here's a business that offers room to grow. The Woodworkers Club in Vienna, VA, sells hcalth-club-stylc memberships for hobbyists to use shop space, tools and machinery. A second club opened in Boca Raton, FL, last December, and new locations are currently being considered across the country. Ready for action. 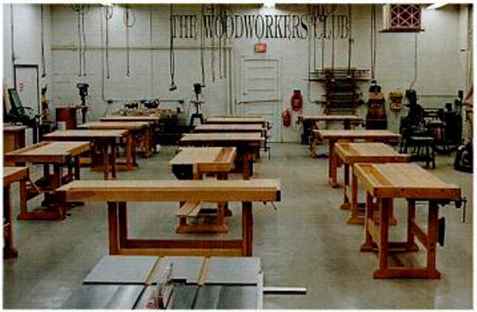 The Woodworkers Club in Vienna, VA, is the first location in a chain of fully equipped workshops offering memberships to hobbyist woodworkers. : space, plus a retail store sell-| ing tools, hardware, lumber and other supplies. "We supply pretty much everything from jointers and biscuit joiners to cabinet scrapers and shaving horses," says founder Mark Wirthlin. 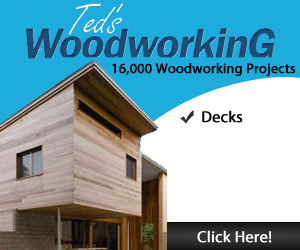 Each club is staffed by experienced woodworkers who arc avail-able to help members with their projects. Beginners arc welcome. Several introductory-level classes arc offered each month, and there arc free demonstrations every Saturday. Several membership plans are available to fit the amount of time you want to spend in the shop. For more information» write: The Woodworkers Club, 216 Dominion Rd. NE, Vienna, VA 22180, or call: (703) 255-1044. Patrick Spielman fans take note: The prolific wcxxl-working author has started his own bimonthly newsletter. The full-color, 16-page Home Workshop News emphasizes scroll-saw projects, patterns and techniques. 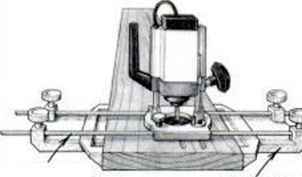 Future issues will also include tips on using the router, lathe and bandsaw. Spielman's newsletter targets the hobbyist and small-scale professional. 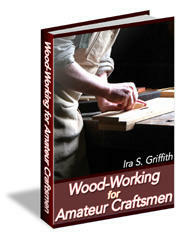 It will feature his own ideas and tool recommendations, as well as contributions from other woodworking experts. A one-year subscription (6 issues) costs $23.95. Write: Spielman Publishing Co., Box 867, Fish Creek, Wl 54212, or call: (414) 868-1639. This simple tool is ideal for cutting veneer parallel to the grain direction. (Use a veneer saw for crosscutting.) The inset brass plate holds a double-edged razor blade with one corner dropped as shown. To use my tool, run the trimmer along a metal straightedge. You'll make a straight, clean cut in just one or two passes. I had trouble cutting flutes and other straight cuts with my DeWalt router because it came with only a single fence.